Diction is an act of speaking in a distinctive way, the choice of picking words, pronouncing correctly, and the level of articulation. 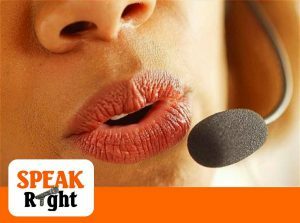 Speaking in the right diction and pronouncing each word according to its sound help in improving your diction. We organise periodic trainings open to the members of the public, where we help you achieve the aforementioned. During this class, we also introduce you to basic/professional etiquette and fine dining etiquette (British and American). 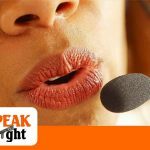 Most people need more than one encounter to master the art of speaking rightly, hence, we provide personalised diction coaching fully suited to our clients’ time schedule, personal motivation and preferred learning style. This is called the Diction Pro Course and it is for 5 Saturdays or 5 working days, depending on our clients’ preference. A lot of people have speaking deficiency because they were not introduced to elocution early enough. This club is a hub for children to learn the art of speaking rightly from their formative years. It is opened to children between the ages of 6-15 years. This club exposes them to phonetics, elocution and right accent formation. The top etiquette skills children need to know are appropriate and inappropriate behavior in public, respect for self and others, proper introduction skills, how to handle conflicts, basic table manners/fine dining etiquette and telephone etiquettes. These skills will be taught by simple role-play exercises on respect and handling conflict and interactive/practical interface learning. YDSPC Public Speaking Club is an off-shoot of this club. It develops the communication skills and verbal competence in children. They will be challenged to read and study great Speeches ever made while learning the arts of public speaking. They will frequently prepare and make speech presentations. Three things define YSDP Clubbers; Enviable Character, Eloquence and Finesse. We engage the youngsters through a monthly hangout and quarterly holiday boot camp. An annual N10, 000 naira registration fee is the pre-requisite for joining. Quints offers private home coaching on phonics, phonetics and elocution for children. This is always a rewarding investment on them. Clergies have special needs when it comes to elocution and we provide them customised training needed to make them convey their messages accurately. Many parents cannot relate to the phonics their children are exposed to in school, hence, we organise periodic trainings to bridge the gap between the parents and their youngsters. We offer your staff members customised elocution and social polish trainings. We meet your needs, no matter what they are. Training could be done in-house or at our training center. We work with top-notch primary and secondary schools. We train teachers/instructors and offer classroom teaching on Phonics, Phonetics, Social Polish/Etiquette and Life Skills. Etiquette and Social Graces: The top etiquette skills students need to know are appropriate and inappropriate behavior in public, respect for self and others, proper introduction skills, how to handle conflicts, basic table manners/fine dining etiquette and telephone etiquettes. These skills will be taught by simple role-play exercises on respect and handling conflict, interactive interface learning and fine-dining etiquette. Train the Trainers: The best way to teach students is by example. For a wider impact, teachers have been factored into our training package. We train teachers, and other staff members on Diction periodically so they will be able to reinforce what students have learnt. Speak right. Get polished. Be professional. We’re here to partner with you to achieve eloquence and finesse.